Mr Sitoh Yih Pin is our Non-Executive Chairman and Independent Director and was appointed to our Board on 29 September 2014. Mr Sitoh is a Chartered Accountant and is currently the Chairman of Nexia TS Public Accounting Corporation, an accounting firm in Singapore. Prior to that, he worked as an Audit Manager at KPMG. Mr Sitoh currently serves as the Member of Parliament of Potong Pasir Constituency, the Chairman of Potong Pasir Town Council, the Advisor to the Potong Pasir Grassroots Organisations and the Chairman of the Government Parliamentary Committee for Defence and Foreign Affairs. He is also currently a Management Committee Member of the Singapore Turf Club. Dr Lee Hung Ming is our Executive Vice Chairman, an ex-officio member of our Medical Board and Centre Director of Lee Hung Ming Eye Centre since 2007. Dr Lee is a Senior Consultant Ophthalmologist, currently spearheading Lee Hung Ming Eye Centre (formerly known as Parkway Eye Centre) at Gleneagles Hospital. He is a renowned LASIK and cataract specialist and is considered a key opinion leader in his fields of subspecialty, namely cornea, refractive surgery, external eye disease, cataract and implant surgery. Dr Lee held the position of Senior Consultant for Cataract, Cornea & Refractive Surgery Service at The Eye Institute, National Group, Singapore, which he joined in 2003. Dr Lee currently also sits on the Asia Refractive Council of Bausch & Lomb. Between 2002 and 2007, he was also Clinical Director of the LASIK Centre of the National University Hospital. 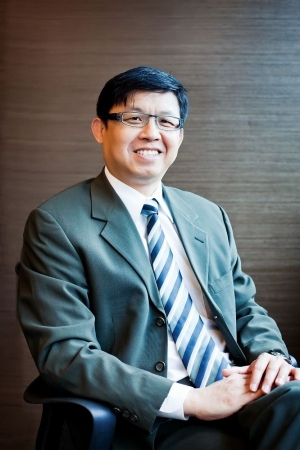 From 2000 to 2007, Dr Lee was appointed as Head & Senior Consultant in Tan Tock Seng Hospital, Refractive Surgery. He completed his residency in ophthalmology at Tan Tock Seng Hospital and the Singapore National Eye Centre, and completed a clinical fellowship in Cornea, External Eye Disease and Refractive Surgery at the University of Toronto. He has sat on board of various professional associations, such as the College of Ophthalmologists, Surgeons and Singapore Society of Ophthalmologist and Bausch & Lomb’s Asia Refractive Council. He has also been the examiner for the specialist post-graduate examination by the National University of Singapore and the Royal College of Surgeons, Edinburgh (UK), University Sains Malaysia and University Malaya. He was also visiting professor at University Sains Malaysia. Dr Lee has also presented widely at regional and international ophthalmology conferences. Dr Lee has received various awards, including the A.C.E. Award (APSCRS Certified Educator Award) in 2003 for excellence in training and education of eye surgeons in the Asia Pacific region by the Asia Pacific Society of Cataract and Refractive Surgery, the International Gold Medal in 2011 by the Indian Intraocular Implant and Refractive Society for outstanding contribution in the field of ophthalmology, as well as the University of Toronto John Gaby Research Prize. Dr Lee is a licensed medical practitioner in Singapore, the United Kingdom and Canada. He is a member of the Chapter of Ophthalmologist at the Academy of Medicine, Singapore. Dr Lee graduated from the National University of Singapore with a Bachelor of Medicine and Bachelor of Surgery in 1989 and subsequently obtained his Master of Medicine in Ophthalmology from the Graduate School of Medical Studies, National University of Singapore, FRCS from the Royal College of Edinburgh Scotland and FAMS (Ophth) from the Academy of Medicine, Singapore. Dr Wong Jun Shyan is our Executive Director and Chief Executive Officer and is an ex-officio member of our Medical Board. Dr Wong was one of the founding members of ISEC KL and has been a Consultant Ophthalmologist at ISEC KL since 2007. He is considered a key opinion leader in his fields of subspecialty and Honorary Part Time Lecturer for the Department of Optometry, Faculty of Allied Health Sciences in Universiti Kebangsaan Malaysia. In 2001, Dr Wong started the Vitreoretinal (VR) Diseases Division of the Department of Ophthalmology at Universiti Kebangsaan Malaysia. Dr Wong has lectured and instructed at numerous regional and international conference presentations as well as various academic institutions, including Harvard Medical School. Dr Wong has sat on the board of various professional associations, amongst others, as Vice-Chairman of the Ophthalmologic Society of Malaysian Medical Association and Chairman of the Malaysian Small Incision Surgery (MASIS) Panel. Dr Wong was a recipient of the American Academy of Ophthalmology Leadership Development Programme in 2006. He has been a fellow of the Royal College of Surgeons of Edinburgh since 1996 and a member of The Retina Society of the USA since 2007. 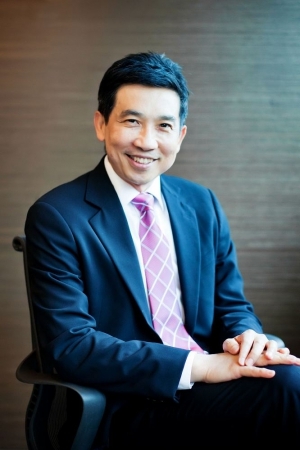 Dr Wong graduated from the National University of Singapore with a Bachelor of Medicine and Bachelor of Surgery in 1991 and obtained his Master of Medicine (Ophthalmology) in 1996. He completed his residency as Chief Resident in Ophthalmology at the National University Hospital Singapore and continued as Registrar and was a Retina Fellow at the Singapore National Eye Centre. Dr Wong then pursued clinical fellowships in VitreoRetinal (VR) Disease at The Royal Victorian Eye and Ear Hospital, University of Melbourne, the Beetham Eye Institute of Joslin Diabetes Centre, Boston, the Department of Ophthalmology at Harvard Medical School and the Massachusetts Eye and Ear Infirmary, Beth Israel Deaconess Medical Centre and Brigham and Women’s Hospital. 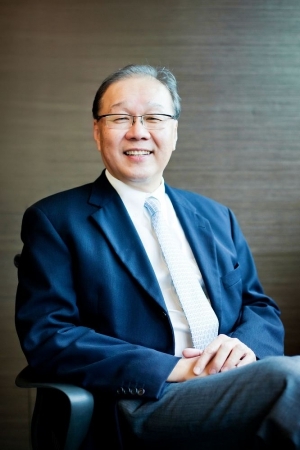 Professor Low Teck Seng is our Independent Director and was appointed to our Board on 29 September 2014. Professor Low is currently Chief Executive Officer of the National Research Foundation, Singapore. Professor Low is a tenured Professor at the National University of Singapore and Nanyang Technological University, and sits on the board of public listed companies, including SingPost Ltd and ExcelPoint Systems Ltd and also participates in national committees which develop plans for education, technology and leadership in Singapore. Prior to his appointment at the National Research Foundation, Professor Low was the Managing Director of A*STAR from 2009 to 2012. 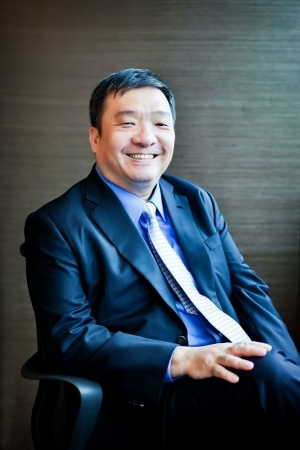 Between 2008 and 2009, Professor Low was Group Senior Vice President and Chief Executive Officer of Parkway Education (a subsidiary of Parkway Heath Group). He also sat on the Board of the Health Science Authority in Singapore from 2004 to 2010. In 2002, Professor Low led a team to start Republic Polytechnic and was Principal and Chief Executive Officer from 2002 to 2008. Between 1983 and 2008, he was an academic staff in the Department of Electrical Engineering of the National University of Singapore and was Dean of the Faculty of Engineering between 1998 and 2001. In 1992, Professor Low founded the Magnetics Technology Centre, the predecessor of the Data Storage Institute, a national research institute focusing on technologies in magnetic and optics relevant to data storage. In 2007, Professor Low was awarded the Public Administration Medal (Gold) by the President of Singapore for his outstanding contributions to the development of technical education and management of science and technology for the nation. He was awarded the National Science and Technology Medal, Singapore’s highest honour for science and technology, in 2004 for his distinguished, sustained and exceptional contributions through the promotion and management of research and development. Professor Low is a fellow of Institute of Electrical and Electronics Engineers. In 2009, he was conferred the Honorary Doctor of Science by Southampton University in recognition of his contributions to Singapore and his profession internationally. Professor Low graduated with First Class Honours in Electrical & Electronic Engineering in 1978 from Southampton University and subsequently received his PhD from the same university in 1982. 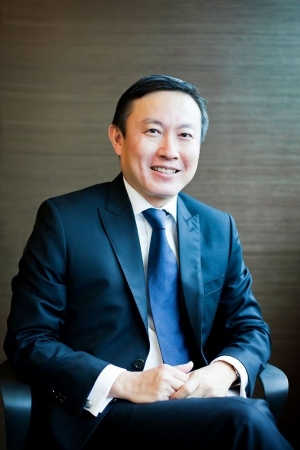 Mr Lim Wee Hann is our Independent Director and was appointed to our Board on 29 September 2014. Mr Lim currently practises as an advocate and solicitor and is an Equity Partner, Co-Head of the Mergers & Acquisitions Practice Group at Rajah & Tann Singapore LLP and Executive Committee Member of Rajah & Tann LCT Lawyers. He is also called to the Malaysian Bar and is an Equity Partner of Messrs Christopher & Lee Ong, the Malaysian member firm of Rajah & Tann Asia. He has over 23 years of experience in the legal sector and specialises in cross-border investments, private mergers and acquisitions and other corporate transactions, labour and employment law, and also has significant biotechnology, health and pharmaceutical practice background. Mr Lim has been a recommended lawyer in the Practical Law Company’s Which Lawyer? (2006 to 2013) for his work in the life sciences industry and has been listed by The International Who’s Who of Life Sciences Lawyers (2008 to 2014) as one of the world’s leading practitioners in the field of life sciences. He currently also sits on the board of A. Menarini Asia-Pacific Holdings Pte. Ltd., part of Menarini group, the largest Italian multinational biopharmaceutical company. Between January and July 2013, Mr Lim was also an Equity Partner at Messrs Kamilah & Chong, Malaysia. Between 2000 and 2007, Mr Lim was a Director of Drew & Napier LLC. Between 1996 and 2000, Mr Lim was a partner of Drew & Napier, and between 1992 and 1995, he was a legal associate at Drew & Napier. Between 1991 and 1992, he was with Colin Ng & Partners as a legal associate. Mr Lim is a member of the Law Society of Singapore, the Singapore Academy of Law and the Bar Council of Malaysia. Mr Lim graduated from the National University of Singapore with a Bachelor of Law (Honours) in 1990.